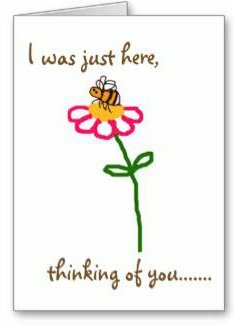 Do wasps pollinate flowers? Quite simply, YES! And I will share with you some research to prove it! For many, wasps are seen as a threat and even a nuisance, but they perform vital roles in the eco-system. As a natural form of pest control, they are a brilliant gardener's friend, taking crop-eating insects to feed to their young. Increasingly, however, with the spotlight on pollinators generally, people are beginning to ask the question, Are wasps pollinators? Personally, I decided to investigate the subject of wasp pollination some years ago. I had read false information on a pest control website that wasps do not pollinate. The reason given was that wasps do not have hairy bodies that would collect and enable pollen grains to be transferred from one flower to another. (Read more about pollination). In short, the whole article appeared to query the wasps' purpose - "What's the point of wasps?" seemed to be the whole approach. However, the notion that wasps do not have hairy bodies is actually false. Even the Common Wasp (Vespula vulgaris) and German Wasp (Vespula germanica), often the target of pest control companies, do indeed have hairy bodies. The first time I really examined the hair on a wasp was when I found a dead wasp on a window sill of a room that is only rarely used. The body of the wasp had a fine covering of dust, which stuck to the hairs, making the hairs themselves more visible. Indeed, the hair on the black and yellow striped abdomen is so fine, it is almost invisible to the naked eye - and how many people are happy to get too close to a wasp when it is alive? Not many people! Afterall, who likes wasps? Wasp pollinating raspberry flower - note fine covering of hair on body! Anyway, the transparent hair was fine, but dense. Similarily, the thorax of the wasp (upper body) was covered in thick black hairs. 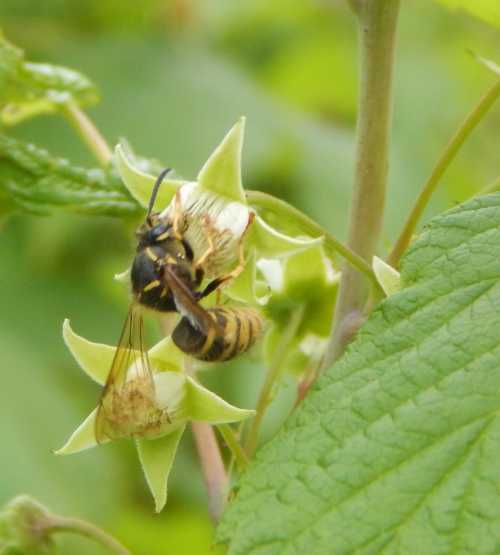 Later, I captured images of wasps pollinating my autumn raspberries! See above - look very closely, and you can make out the hair on the wasps' body. As well as the research I'm going to share with you, in terms of personal observation, I am convinced that wasp pollination was almost entirely responsible for the abundant crop of cotoneaster berries on my cotoneaster tree in 2011. I am an observer of all things 'bee', but it seems climate change has altered the flowering times of the cotoneaster tree in my garden. 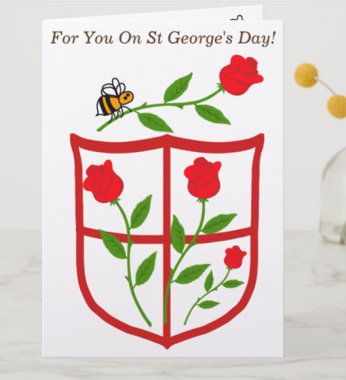 In the past, it was pollinated by bumblebees. In 2011, I noted very few bumblebees on the tree, but many, many wasps working away. 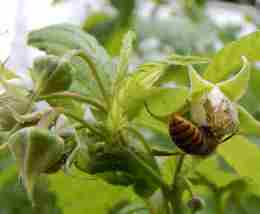 I also believe wasps help to pollinate our raspberries (my sister, a keen gardener and 'fruit & veg' grower, feels the same). 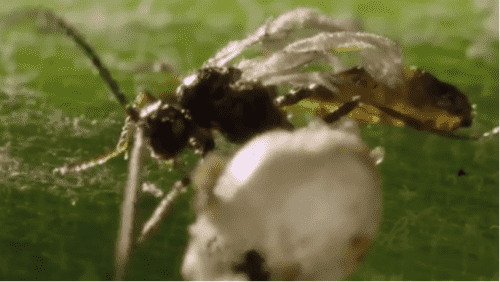 One of the frustrating things is that research into wasp pollination is quite limited. I expect this to change in the future, though I don't know how long it will be. However, even from the small amount of research information we have, we can prove that wasps pollinate flowers, and there are even some species of orchid that are believed to be pollinated exclusively by certain wasps, whilst wasp pollination is vital for figs! Also, let us not forget that bees are closely related (actually believed to be decended) from wasps - or Vespidae. But just to prove that there is further information out there, including scientific papers, I thought I'd include a few references here. I'm hoping that in time, people will start to change their minds, and develop a more positive attitude toward wasps through understanding. After all, we can't say wasps don't matter, when we speak mostly from ignorance! I recommend the book on the right to start that process and begin building a respectful understanding rather than "fear- kill" approach. Clicking on these links, including the titles of these sections, opens a new window. 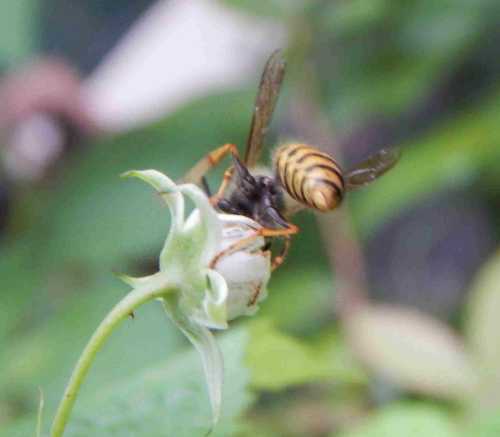 "This work aimed to verify which wasps act as pollen vectors and can make potential pollination in the community of floral visitors of Schinus terebinthifolius Raddi in Santa Cruz do Sul, Rio Grande do Sul. On the flowers of one individual, 1619 insects were collected, where 616 belonged to Vespidae. 55,7% of the total of Vespidae presented pollen grains attached to their exoesqueletum confirming the pollinator habit of some species. Polistes versicolor, P. simillimus, Polybia sericea andP. ignobilis presented large quantities of pollen on their body, beyond high values of dominance and constancy, proving its importance on the pollen transportation and potentiality to act as pollinators of the studied taxon." There are a number of different species of spider hunting wasp, and they are important polinators. This paper looks at wasp pollination of plants from the hyacinth family. It showed that floral scent played a role in attracting these pollinating wasps. If wasps pollinate hyacinths, then why not other flowering plants? "Pollination is done by two species of wasp, the German wasp and the tree wasp Dolichovespula sylvestris." A further study (from Germany) about wasp pollination of orchids can be found here. Figs and fig wasps have evolved to help each other out: fig wasps lay their eggs inside the fruit where the wasp larvae can safely develop, and in return, the wasps pollinate the figs! This is just a handful of references on the subject of whether or not wasps pollinate flowers, and yet, the benefits of wasps and wasp pollination are rarely understood. After writing this piece, I came across yet more research, summarized here. What else are wasps pollinating and how else are they helping farmers and gardeners? Well, we haven't gotten around to studying the interactions of every (discovered) species of plant life, with every (discovered) species of wasp, so the answer is, we don't know! So please spare a thought for wasps. They may be bigger friends than we know! However, increasingly, farmers, horticulturalists and growers are starting to harness the amazing powers of wasps to help control pests, which may otherwise destroy crops. This means harmful insecticides can be cut out. For example, one of the types of wasps used, is a kind of 'body snatcher wasp'! As stated before, I'm convinced we need to raise awareness of the importance of wasps, and also educate ourselves and the young. I have selected these books - it's a place to start! What if we have some valid concerns about wasps? Okay, so wasps are pollinators, but what if you have a valid concern about wasps, or wish to avoid being stung? In that case, consider making or purchasing a Waspinator (available from Amazon. You may also wish to use an insect repellent, and consider a deet free version - again, widely available from Amazon. If you are a gardener, farmer, or land owner, you have good reason to try to adopt a pragmatic approach where you can. If you are worried about your plums or other soft fruit, discourage wasps from nesting in your garden, and ensure you pick as many plums as you need when they are ripe, rather than when they are about to become over-ripe. Pick your fruit on time, and put what you can't use into jams, or into the freezer in the form of pies. Remove any windfalls you have no intention of eating, to a safe place at the back of the garden - perhaps a compost heap. If the wasps are in your fruit, such as your raspberries, they more than likely helped pollinate them in the first place. Do you really need to pick every single raspberry? Ask yourself whether you would actually pick all of them anyway? Can you spare a few? It may be better to simply relax. I never, ever do anything about the wasps in my raspberries. I leave them be. Remember to use a Waspinator next year! You can also try a citronella deterrent around your garden. Also, there are some very, very practical tips on how to repel wasps without killing them on this page - please take a look and share it - thank you :). Although in reality, we know little about wasps in comparison to say, honey bees, it's obvious there is more to be discovered about crop and flower pollination by wasps. 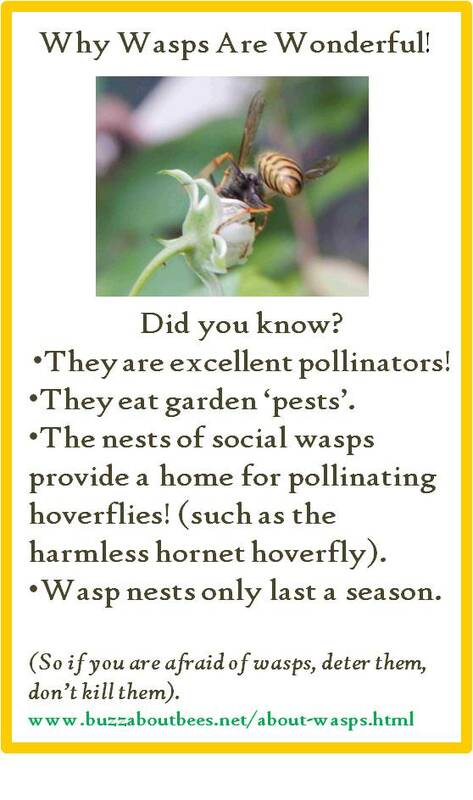 We already know that wasps can perform helpful natural pest control in gardens, because they are known to feed their young on some crop predators. Surely, it's time for humans to evolve beyond the approach of automatically killing things, and to become more pragmatic? You and I can do our bit! If anyone asks us "do wasps pollinate flowers and crops", we can tell them 'yes', and perhaps point out other benefits of wasps. If people are afraid of wasps, we can also encourage people to repel rather than kill them - just a thought! Go from Do Wasps Pollinate Flowers? to this page about the amazing life cycles of social and solitary wasps. Go from Do Wasps Pollinate Flowers? to this page about wasp nests and how to prevent them if you are afraid of wasps. Go from Do Wasps Pollinate Flowers? to this page explaining how to avoid stings, and first aid, in the event that you should be stung by a wasp.